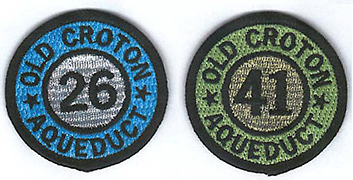 As of now, we have 29 people who have earned certificates and patches from the Friends of the Old Croton Aqueduct’s Milers Program. And there are quite a few others who are “working on it.” Some of these milers have become some of our most active docents. One of them said to us that she and her husband “fell in love” with the trail as they earned their patches. Being a docent is a way to share that love.